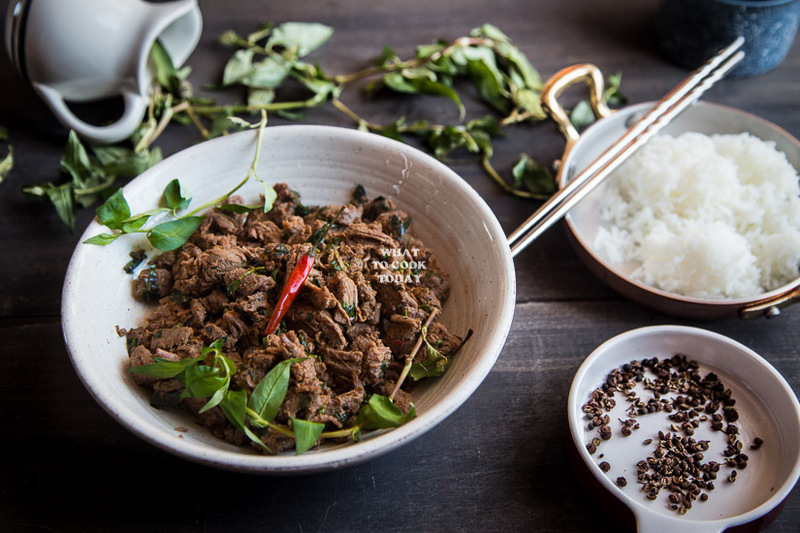 Burmese Kachin Pounded Beef -Beef pieces are pounded together with aromatic spice paste and herbs that will leave you begging for more. Eat them with rice, or salad, or taco, whatever it is, you won’t be disappointed for sure! 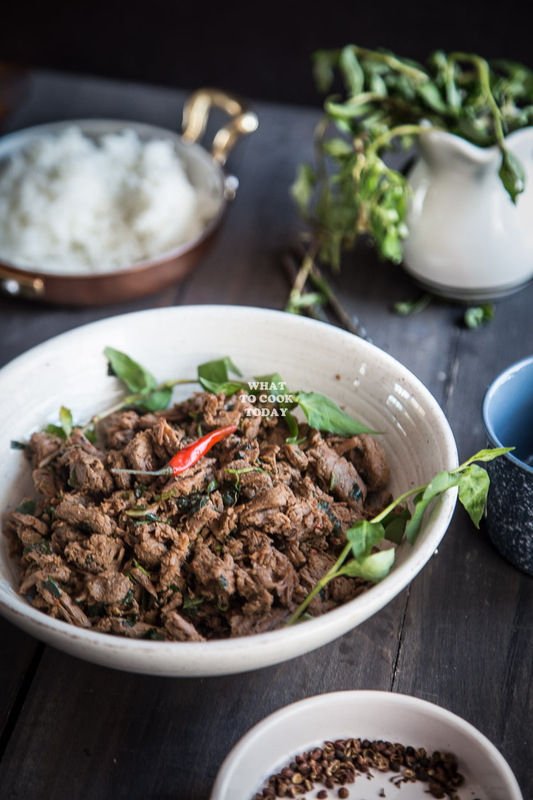 This Burmese pounded beef or Kachin pounded beef is my husband’s super favorite beef dish. I actually didn’t know that he would like it that much at the beginning. 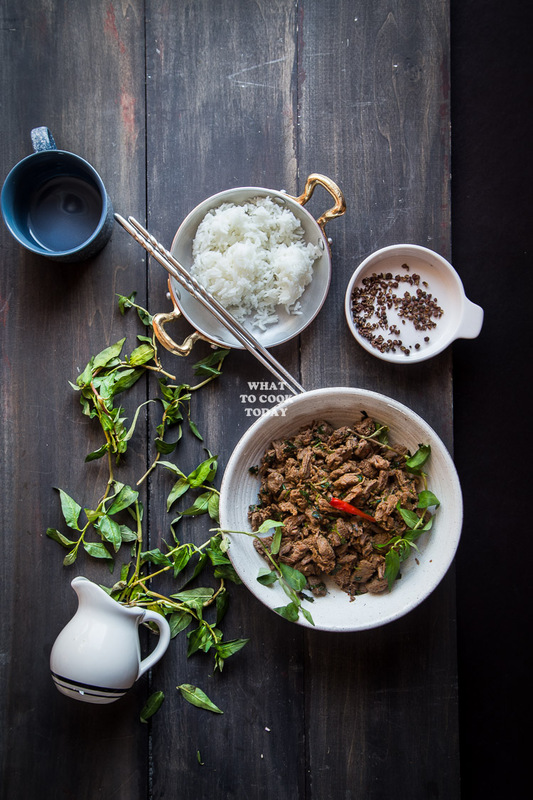 I think what really perk up this dish, besides the tender beef, is the highly aromatic Vietnamese coriander/ rau ram used in this dish. It makes the dish taste so refreshing. To me it tastes even better with a little heat from the chili (I’m a chili-head, can you blame me ?). But the chili didn’t overwhelm the whole dish, it should just add that right amount of kick and you can still taste the dish without your mouth being numb. Serve this with rice along with other dishes, wrap with up with lettuce, or even with a sandwich, I think you’ll like it. This pounded beef is so great to wrap in lettuce or served over any salad, or taco! Don’t just take my words for it seriously! 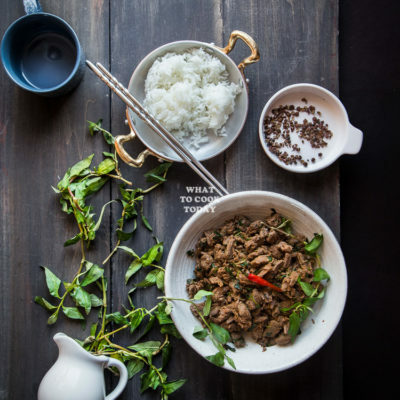 Recipe is adapted from Naomi Duguid’s BURMA River’s of Flavor Cookbook. 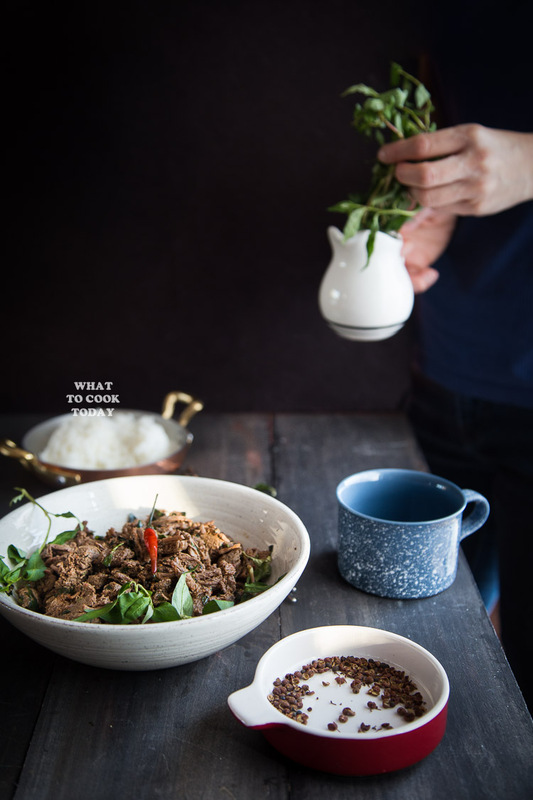 I love that cookbook a lot! 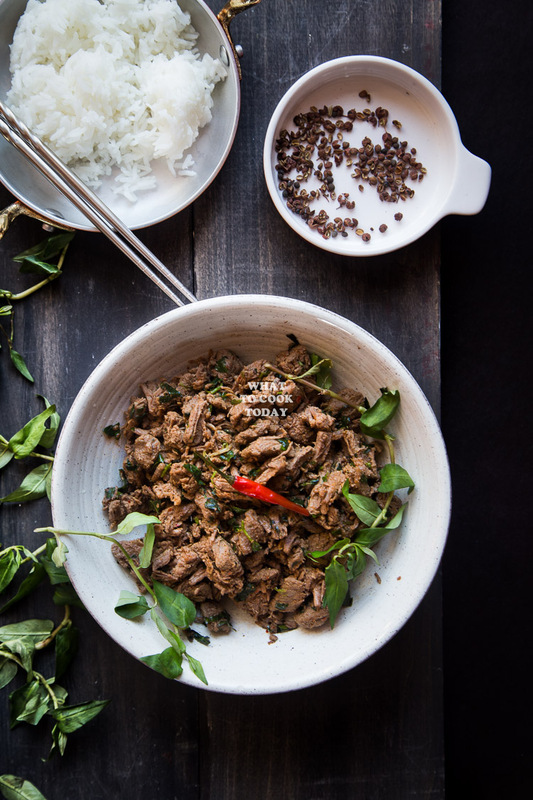 Beef pieces are pounded together with aromatic spice paste and herbs that will leave you begging for more. Eat them with rice, or salad, or taco, whatever it is, you won't be disappointed for sure! This sounds delicious! And that spice blend has so much flavour! Bring on the spice, I say (and leave those seeds in the chilies) 🙂 Love the idea of serving as a lettuce wrap. Pinned!